First structure of its kind created in Europe in 1997, the School of Second Chance (“Ecole de la Deuxième Chance”) in Marseilles provides training to professionally and socially integrate young adults aged 18 to 25 who left school for at least a year without a diploma or qualification. The E2C Marseilles annually takes care of nearly 750 young people and prepares them to enter in the professional life through a fully individualised training environment. A third of the learning path at the E2C Marseilles takes place in a company. The E2C in Marseilles is a founding member of the E2C France network. It has 48 schools spread over 107 sites in all regions (mainland and overseas territories). In 2015, the Schools of Second Chance expect to welcome more than 15,000 students. The School of Second Chance (E2C) in Marseilles uses the EDA platform (based on MOS Chorus technology), to support part of its educational programmes. In 2015, the school has implemented the project “E2C Entrepreneur”, whose objective is to strengthen the entrepreneurial capacity of young people – with a low level of education – and to help them initiate their micro-activity. This project is based on the EDA platform and on the model proposed by Social Business Model of Claude Michaud. “Learn to manage your micro-activity” is primarily intended to train young users on business: to better understand challenges and major concepts, in addition to the actual discovery they have during their internship. The tool contributes to the development of social entrepreneurship among the students of the School thanks to the transmission of practical and ready-to-use knowledge on the fundamentals of entrepreneurship and the creation of micro-business. The training content is organised around two protagonists, Nadia and Leo. 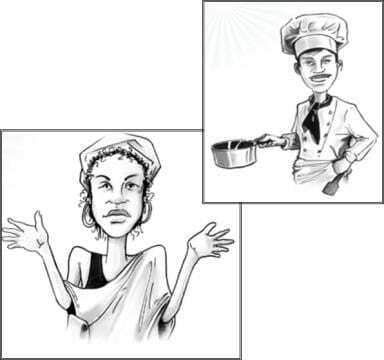 They carry out small jobs (delivery and cooking) that they want to turn into jobs. Little by little, they discover the skills to be acquired. It is through the entrepreneurial adventures of Nadia and Leo that the students of the School get to discover entrepreneurship. MOS – MindOnSite is sponsoring the project. We helped create the eLearning modules and the entrepreneurial skill standards, and deploy accessible learning tools based on the MOS Chorus LMS /LCMS platform.